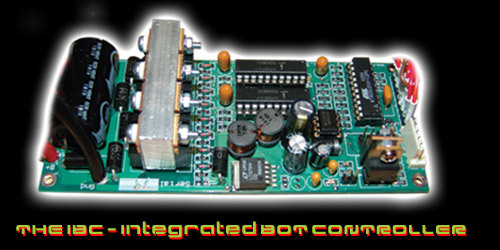 Dual Channel controller designed by Brett Paulin from the OSMC refrence design. IBC is best protected when installed in a 140x55x40 ABS box from Jaycar Electronics. Installing a 40mm 12v PC fan mounted above the MOSFets will allow the controller to work at it's full potential. Temp Limiting:Yes, Fixed - will throttle down the current from 100% to off depending on temp. This controller has no BEC. 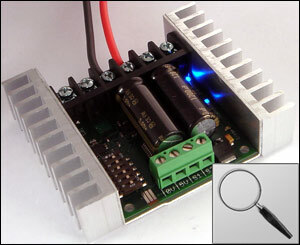 The manufacturer recommends that bots using lower voltages that might dip below 12V should install a BEC or seperate controller battery pack (same AH size as a reciever battery). 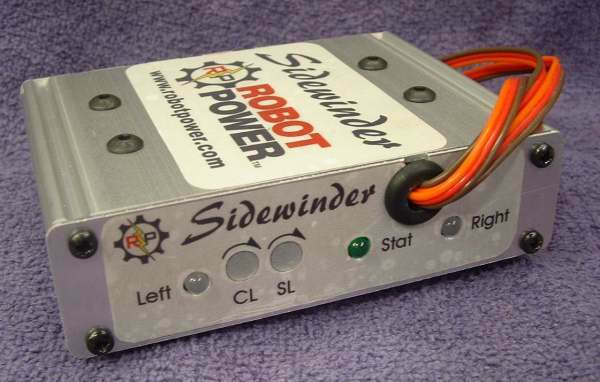 If the voltage to the Sidewinder goes below 12V, it will probably reset. The case is very strong and reasonably dust proof, although it is hard to take apart once wiring has been installed. Usually required an inline booster if used with conventional radio equipment (to drive the opto's). Make sure to install cable ties on the FET heatsinks as per this guide - IFIVictorModification. Twice the continuous current of the victor 883. Make sure to install cable ties on the FET heatsinks as per this guide IFIVictorModification. V1 Controller is not suitable for use above 12V with drills. Build quality poor on unit used in Cyclonite.